We’re approaching spider season in the Northern Hemisphere, where the eight-legged creepy crawlies start coming into our homes more often, mostly due to the colder weather. I know there are a lot of people out there who really don’t like spiders, and I totally get that, but there comes a point where you have to acknowledge that your fear has gone too far. 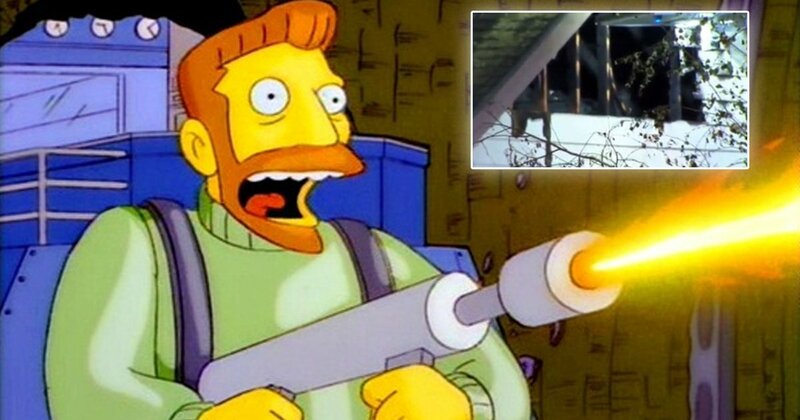 A California man has taken arachnophobia to bold new levels, after burning his parents’ house down to get rid of spiders. Just to be clear, he didn’t actually mean to burn the house down, but he was so committed to getting rid of the creepy crawlies that it happened anyway. The man was looking after his parents’ place in Fresno, California, when he saw a number of ‘dangerous spiders’ in the property, 6 ABC reports. Rather than calling a pest control expert, he decided to tackle the problem himself. Firefighters said that the man was trying to kill what he thought were Black Widow spiders, when he decided to pick up a blowtroch and go to town on them. Well, you can guess what happened next. A huge fire erupted in minutes, and a total of 29 firefighters were called out to deal with the blaze. Who could’ve seen that coming? Apart from everyone. Fortunately, he was able to make it out of the property safely, and no one else was in the house at the time. Now, he has to deal with explaining to his parents that he basically burned their house down, and that it’s his fault. I wouldn’t envy anyone in that situation. Still, you might be surprised to learn that this isn’t the first time this has happened. Another spider-averse man from Seattle used a can of spray paint and a lighter to tackle a spider he found in the laundry room of his home. Before he knew what had happened, he had racked up $60,000 worth of property damage. I mean sure, it almost definitely got rid of the spider, but was it worth it?! Speaking about the Californian man, a spokesperson for the Seattle Fire Department gave a warning to the public, saying: “I don’t want to encourage people to do this, but that’s what he did. The spider tried to get into the wall. He sprayed flames on the wall, lit the wall on fire, and that extended up to the ceiling. You’re not wrong there, Mr. Fireman. I sympathize with wanting to get rid of the spiders – I don’t like them myself – but don’t be stupid out there.